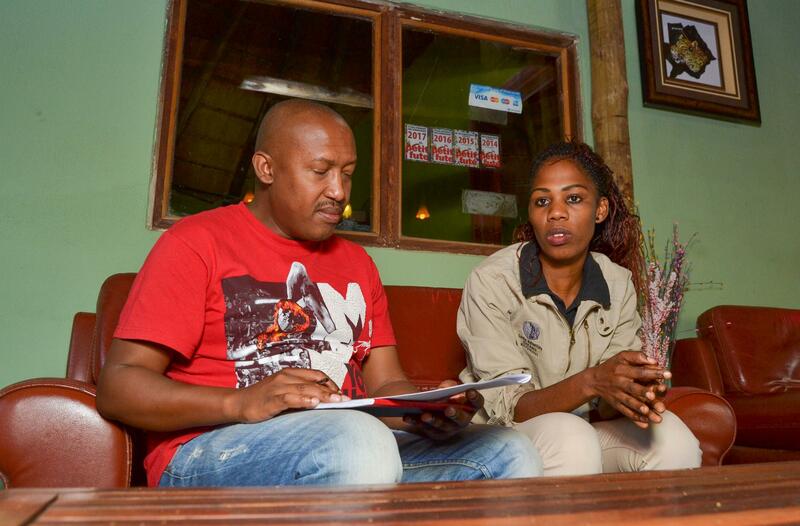 After working in the tourism industry for over five (5) years, Mpho Mokgowe and her elder brother Modiakgotla Lucky Mokgowe decided to quit their day jobs and venture into unchartered territory as investors in the tourism industry. 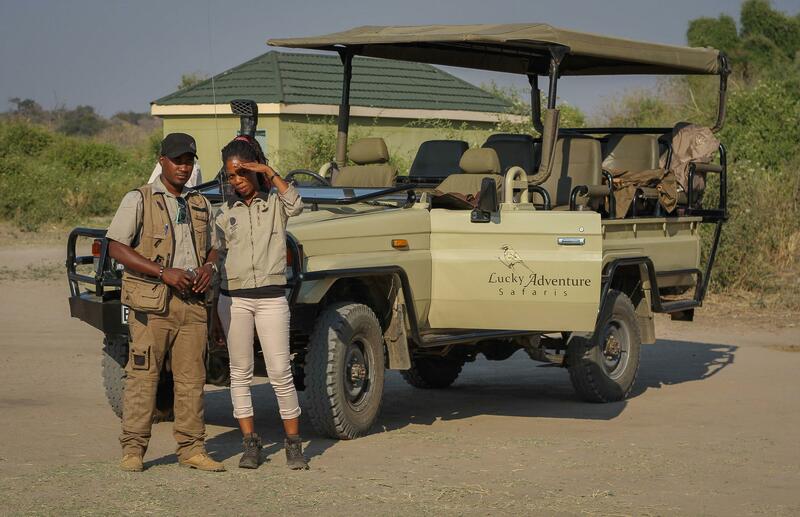 How did Lucky Adventure Safaris get started? In 2013, we mustered up our life savings and founded Lucky Adventure Safari – a licensed adventure and camping mobile safari company based in Kasane. I, being Mpho am an accountant by profession whilst my elder brother, Lucky is a professional guide with over 12 years working experience. Together we form the perfect team. 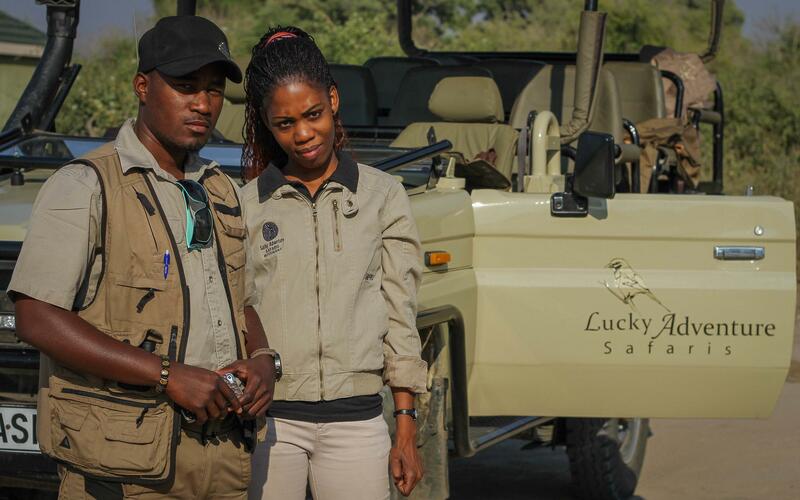 With Lucky being the professional guide he would be responsible for ensuring that clients get the true Botswana experience whilst I keep the operations and administration side of the business running smoothly. Why did you specifically choose Kasane as a place to do business in? We chose to operate our business from Kasane because it is a unique township that shares borders with Zambia, Namibia and Zimbabwe; and lies at the confluence of the mighty Zambezi and Chobe rivers. There could not possibly be a better tourist destination to operate from than Kasane. There are many tour operators in Kasane, what sets you apart from them? With our company we offer tailor made camping amenities, mobile safaris or lodge-to-lodge tours designed to exceed our customers’ expectations. 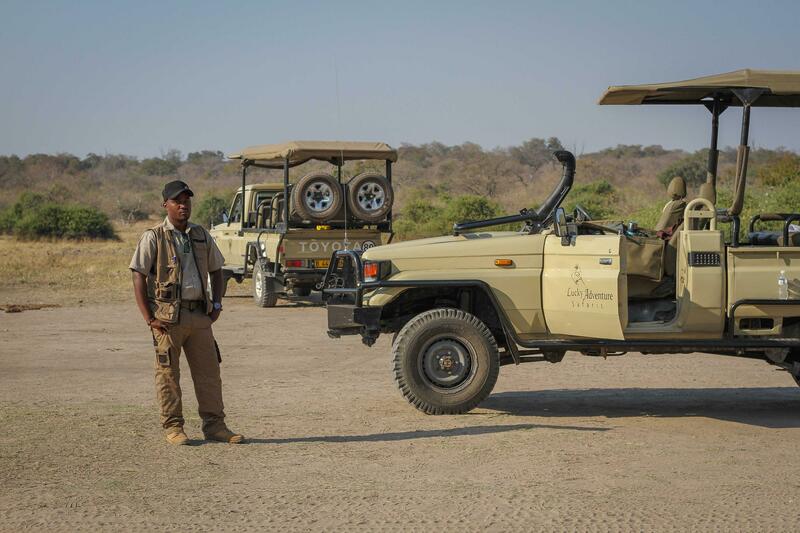 Our services cover all of Botswana’s national parks, the Okavango Delta, Makgadikgadi and Nxai pans, Tsodilo and even tours to neighbouring countries. We usually specialise in small groups to ensure that our clients get all the individual attention. Activities on offer include game drives, walking safaris, bird watching, Bushmen walks, village tours, mokoro day trips, Victoria Falls day trips as well as sightseeing excursions to neighbouring Zimbabwe, Zambia and Namibia. Tell us how you came about to engage CEDA and apply for funding? The business was initially funded through the Youth Development Fund (YDF), CEDA financed our dreams of expanding into a world class tourism operation. We first heard about CEDA through the media, at kgotla meetings and from their former employers. We were initially hesitant to approach CEDA as we thought we were not eligible for funding. We visited the CEDA Kasane branch and they explained all the processes to us. We submitted our application a few days later and it was approved after three (3) weeks. We used the funds to expand our fleet to meet rising demand of tourists coming in. What other services did the Agency provide? CEDA also assisted with mentoring and trained us on proper record keeping and business management. Even though tourism has a lot of competition countrywide, we remain confident we will be able to increase our customer base whilst retaining existing customers through their strategic focus on premium customer comfort, quality service and customer satisfaction. How do you market your business to tourists in this tough market? We extensively market our business online using our website, Facebook page and trip advisor. We have attended a number of local and regional tourism expos and hope to go to an international one in the near future. We recently got position two (2) under the tourism category at the 2017 Youth Expo. We have discovered that technology plays a very important role in our business as we use it to keep up to date records, market our business and communicate with clients. The company employs four (4) full time employees plus occasional freelancers. 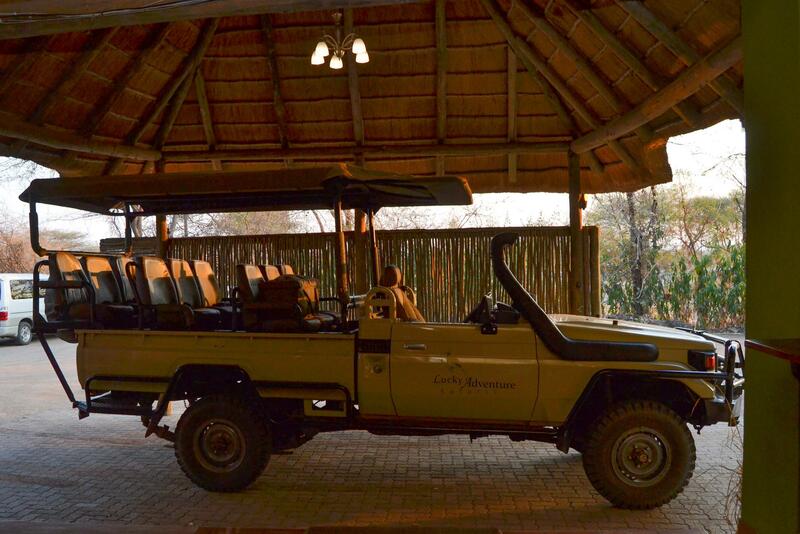 Over the years, Lucky Adventure Safari has faced a number of challenges such as the Ebola outbreak, which forced them to reduce rates as demand was very low. This in turn caused us to let go of our staff. What challenges does your business face and how do you want to expand in the near future? In the past we have faced challenges such as shortage of equipment, which has subsequently been resolved after getting funding from CEDA. We are however already thinking about further expansion and we intend on approaching CEDA in the near future for additional funding. Lucky Adventure Safari is in the process of constructing a Bush Camp at Lesoma CH5, a protected area that lies 50km from Kasane and 70km from Lesoma village. The bush camp will consist of a camping site and a lodge. Construction of the camp site is already underway, whilst we already have plans to approach CEDA for additional funding to construct the lodge. What are aspirations for the business? We also intend to exploit our network at home and overseas to reach out to target customers, which include adventure travellers, leisure travellers, students and international photographers. We have also seen significant growth in our local tourists, who either travel in groups or as individuals. What advice can you give to those that are keen to venture into tourism? The youth need to know that you always have to have patience when running a business as it takes time to grow. Business success does not come overnight and you have to weather the storm. You need to learn as much about your business environment as possible and know how to keep up with the latest trends. Tourism is ever changing and diverse. Whilst being patient, you need to also act fast because the business is fast paced and customers expect speedy services.